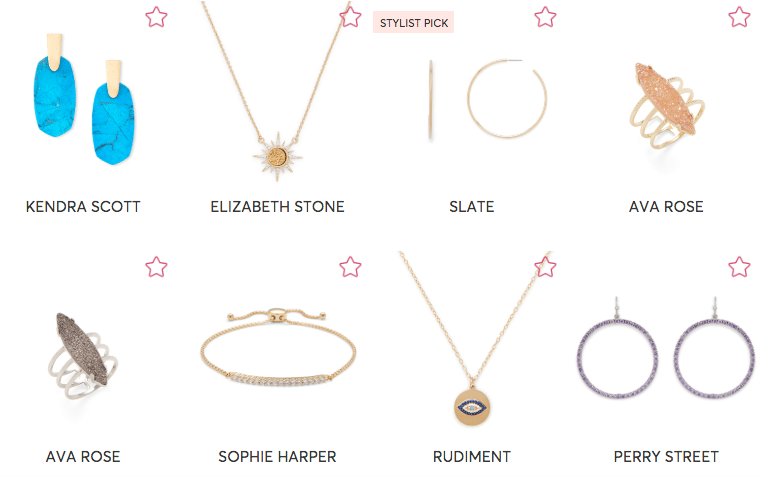 Want to rent designer jewelry for non-designer prices? Check out our Rocksbox reviews to see their selections, how it works, our first unboxing, and so much more. There’s no doubt that it’s one of our favorite subscription boxes for women. Check out this list to see more subscriptions to match your new jewelry – including options for clothes, beauty products, and more. 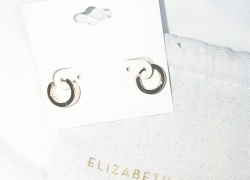 You may have heard of clothing subscription boxes that allow you to rent designer clothes, but now there’s a similar option for designer jewelry! Rocksbox provides beautiful jewelry rental for an inexpensive price. They offer a variety of brands and types of jewelry for women, so there’s bound to be an option to fit anyone’s style. This Rocksbox review shares details about the subscription, pricing, some of their jewelry selections, how to get the free trial, and my experience with ordering my first box. I also share the jewelry pieces I received in my first box near the end of the review! As I mentioned before, Rocksbox is a unique jewelry rental subscription. With all of the subscription boxes I’ve tried out, I have yet to find another like it. You’re able to try out designer jewelry before you buy! You don’t even have to purchase anything if you don’t want to. 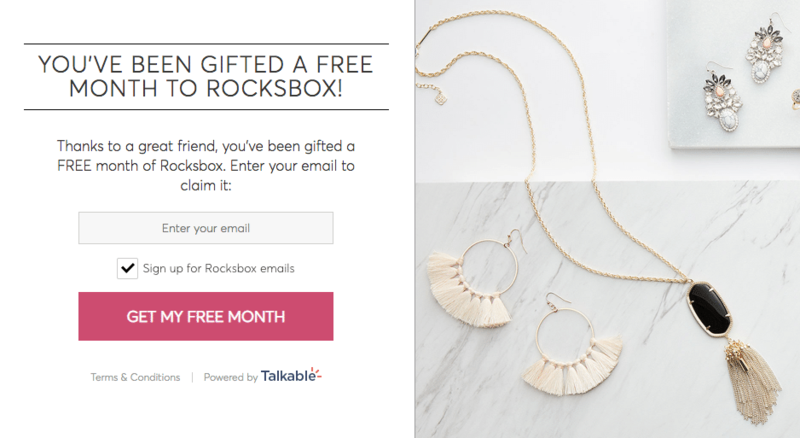 Rocksbox reviews praise the fact that it’s basically a jewelry rental subscription. There’s no limit to how many boxes you can receive each month—you just need to return the one you have out before requesting another. They provide a free return label with every shipment. You can also keep one box for as long as you want and wear the jewelry as much as you’d like! The Rocksbox cancel feature is very easy to use if you ever decide you don’t want to continue your subscription. As long as you make sure to cancel before your next billing date, you won’t be charged for the following month. You also need to return or purchase your set to finalize the cancellation, or they’ll continue to charge you. You just need to call the Rocksbox customer service to put your account on hold or cancel completely and let them know. Their hours are Monday through Friday, 9 a.m. until 5 p.m. Although it’d be nice if they offered online cancellation like some other subscriptions I’ve encountered, I guess it isn’t too difficult to give them a quick phone call. I doubt I’ll be using this feature anytime soon! How much does Rocksbox cost? It’s only $21 per month to rent their designer jewelry! Better yet, the monthly price can be credited toward any items in your box that you want to keep. I am, however, still hoping to find a piece that costs less than $30, since the credit doesn’t roll over to the following month. There are some Rocksbox reviews that don’t think the prices are very reasonable, but this all depends on your budget. They do have many pieces that are too pricey for me. I’d say it’s still a pretty good deal, though, considering it’s high-quality jewelry from designer brands. Although they only have one subscription option, each jewelry piece is a different price if you want to keep it. Below you’ll find my first Rocksbox jewelry review, which provides the prices of the items I received, to give you an example. These prices can range anywhere from $30 all the way up to nearly $300! I gathered this based off their shop selections, though; I doubt they include such expensive jewelry in their subscription box very often. You can also shop their collection if you see items you like. If you’re looking for a Rocksbox gift, you could easily find something beautiful there (or you could even just gift a subscription)! They have many items for sale that they don’t include in the subscription. Unfortunately, your monthly subscription credit can’t be used to purchase items from their shop in this way. They do, however, have a Rocksbox clearance section that has marked-down jewelry options. As I mentioned earlier, Rocksbox offers a free trial for new subscribers. It’s very generous and lasts an entire month! This helps you really get a feel for the subscription. Although it’s free, you still have to enter payment information to sign up. You can cancel if you find out it’s not the right subscription for you. The only way to get this is to sign up with someone’s Rocksbox link or enter their code. Mine is “LAURICEBFF1” and can be entered at checkout. Another way to save money with Rocksbox is to purchase all three items in your set. You can save an extra $10! There are also great deals to be found in their clearance section. Finally, you can save by subscribing to a longer-term subscription. If you’re unsure about this jewelry rental service, you might prefer a different type of subscription for jewelry. Luckily, I’ve found a few similar boxes that are focused on jewelry. I had to include a couple similar subscriptions in my Rocksbox reviews! This is one of the cheapest subscription boxes I’ve ever discovered. 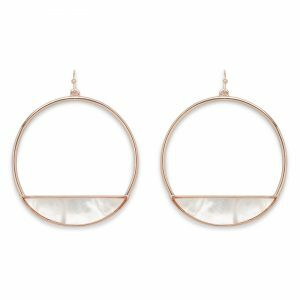 They provide one pair of earrings each month (stud earrings, for the most part) for the tiny fee of $3.49—less than the price of a latte! There’s a variety of styles offered, and they even pick your pair based on your style. 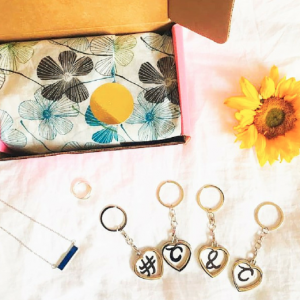 The Cate + Chloe jewelry subscription box has a couple of plans. For $19.99, you’ll receive one surprise piece of jewelry each month plus a free gift. There’s also a plan with 3 pieces for $39.99 per month. You receive a great value of jewelry compared to the price you pay. Some of their previous boxes have contained designer jewelry worth over $100 each! The only negative is that it’s mostly a surprise (but this could be a good thing too).